Bungie showed off the first gameplay demo (coming soon!) and an accompanying gameplay trailer for their upcoming brand new IP Destiny. This is the first look at gameplay from Destiny and shows a couple of people fending off enemy aliens known as “Fallen,” while slowly being joined by more and more players. 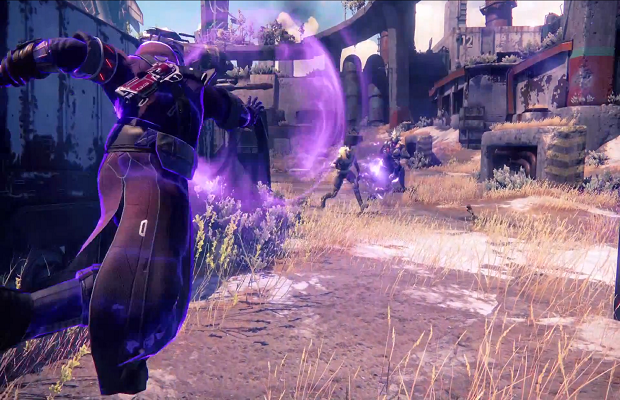 Destiny will be available on the Xbox 360, PS3, Xbox One and PS4. Follow and like us on Twitter and Facebook to chat about Destiny and all things E3.